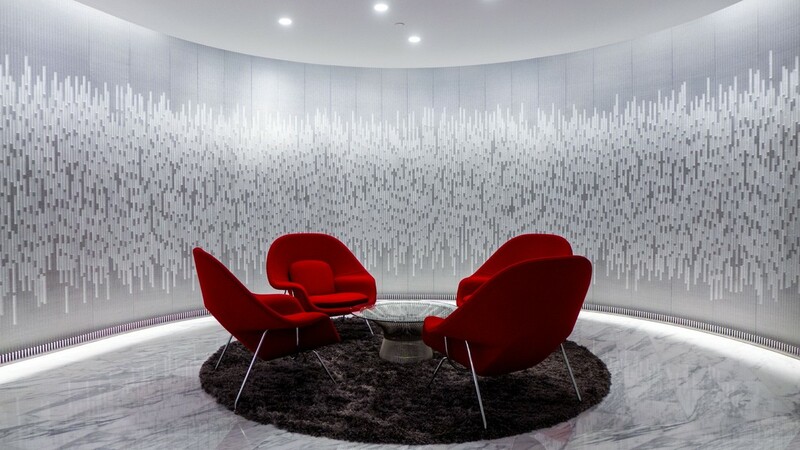 C&G Partners' installation 'Curtain of Names' for The Advisory Board Company (ABC) was honored with a Merit Award in the 2015 SEGD Global Design Awards Program in the Placemaking and Identity category. 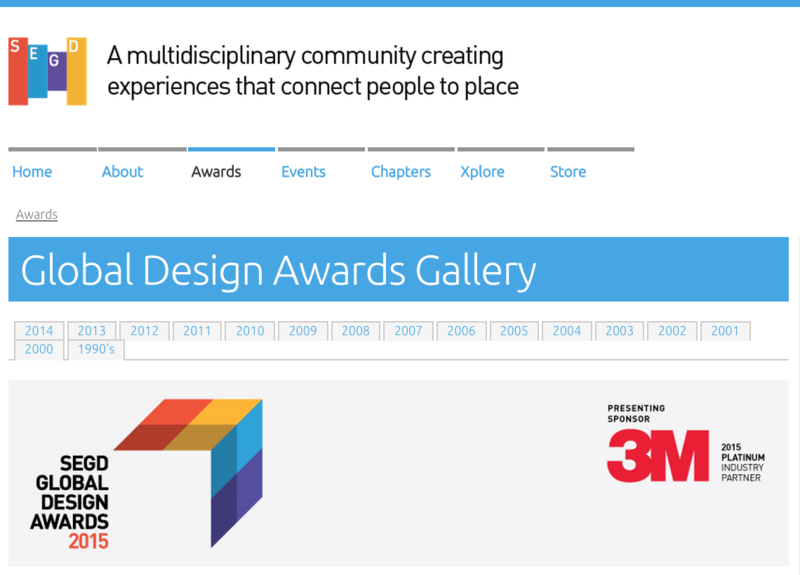 Each year, The Society for Experiential Graphic Design (SEGD) honors the very best in experiential graphic design worldwide. ABC commissioned C&G Partners along with architects SmithGroup JJR to design and program a new 7,400 sq ft member space in Washington, DC. C&G conceived a series of installations custom-designed for specific areas in the new space. The ‘Curtain of Names’, welcomes guests to the space. Thousands of translucent rods form a shimmering curtain. Each rod hosts a single member client’s name. A nearby touch directory matches institutions to numbered wires, corresponding to an underlying database. The curtain, touch interface and database are all built for expansion as more members join. Click here for additional details.